B-FREE is a festival celebrating innovative expression and progressive action in hip-hop and street dance culture. 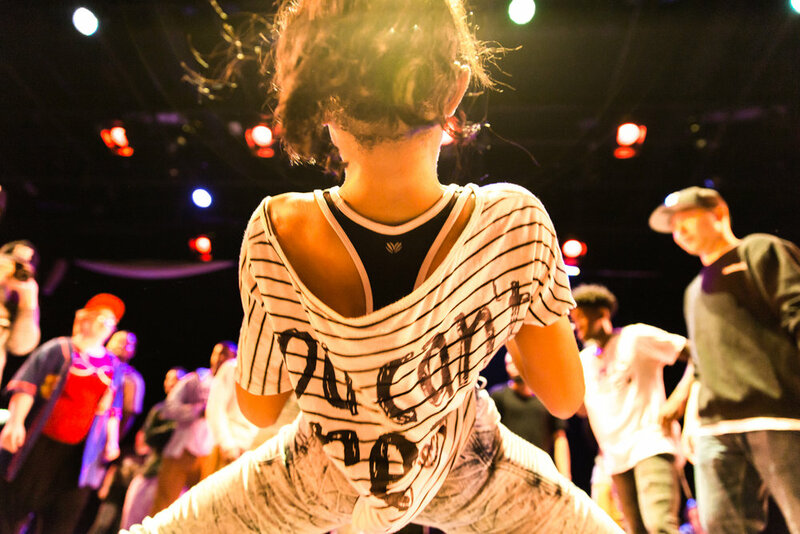 Winners of the Open-Styles battle receive round-trip flights to attend/compete in the Juste Debout U.S. Qualifier hosted by Words Beats & Life Inc. in Washington, D.C. on Nov 1 and 2, 2018! B-Series, Spring 2017, photo by Philip Dembinski.